Rose Funeral reigns from the depths of Cincinnati, OH. The band is a young death metal tinged wall of sound, bringing crushing breakdowns, and just the right amount of melody to make the group brutal, yet still catchy. After enduring countless numbers of US, Canada, and Mexico tours, Rose Funeral has no intentions on stopping the mayhem that they bring to each and every city, and they plan on bringing a worldwide assault. 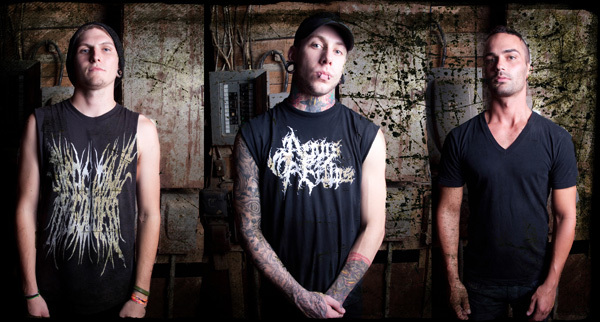 Their numerous regional and national tours helped gained the attention of Metal Blade Records and by early 2008, they had landed a deal. Since then, Rose Funeral has been hard at work continuing to tour across North America as well as finishing their next Metal Blade album. 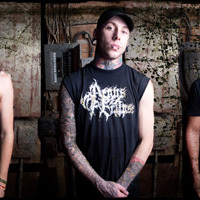 Gates of Punishment is the title of that album and will, no doubt, solidify them as one of the best up and coming young death metal bands in the US. 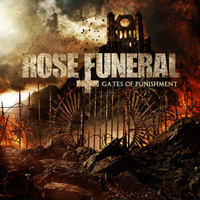 With the release approaching, Rose Funeral promises to bring the next level of destruction and carnage in to the death metal movement. Rose Funeral‘s first demo, Buried Beneath the Blood, was self recorded and self released in March of 2006. The demo was followed quickly by the release of their EP, Crucify.Kill.Rot, in August of 2006. The EP was well accepted among their fans in the tri-state area and helped to further their national presence. 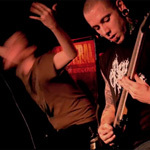 It was enough for them to get picked up by Siege of Amida Records, who re-released Crucify.Kill.Rot in March of 2007. 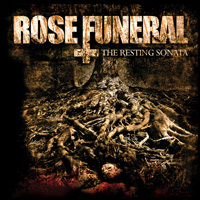 The Resting Sonata, the band’s Metal Blade debut was released on January 20th, 2009. The album was a sleeper hit for Metal Blade as the band persisted on the road and toured almost constantly. Their hard work paid off when they landed the opening slot on Those Whom The Gods Detest Tour w/ Nile, Immolation and Krisiun. 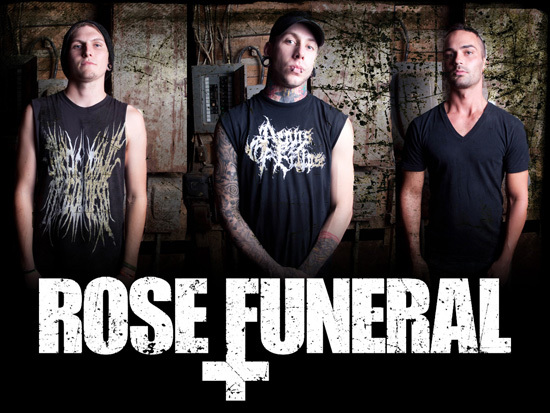 Touring with such heavy weights helped to further develop Rose Funeral and inevitably earned them respect from typically elitist traditional death metal fans. Gates of Punishment is a fitting progression of the band’s dark and foreboding sound. Guest vocal appearances from local Cincinnati opera singer, Kate Alexander, and Steve Tucker of Morbid Angel add to the dark atmosphere that is created throughout the album. Seven string guitars tuned to drop A, haunting melodies, insane blasts and enough groove to keep heads banging will make this one of the heaviest releases of 2011.